Abstract : This seminar paper indicates a fundamental difference in objectives between language learning for certification and learning for live use. Whereas accuracy is an absolute goal within schooling contexts, its value on the street is highly variable. This difference is reflected in teaching perspectives. // This is the outline of a seminar on teaching methodology given as a teacher inservice for Chinese English teachers in Zhengzhou, Henan, China, in November 2009. Fluency Vs Accuracy OR Fluency and Accuracy for Language Learners? 1. Why are we doing this ? Students learn a language supposedly to use it in their jobs, or other areas of their future life. As teachers in schools, we mostly don't teach language as it will actually be used in jobs or other areas of real life. As teachers in schools, we mostly teach language for exam results, or for tests like IELTS. We can't avoid this. It is a feature of mass education. Our discussion will mostly be about teaching in this college for college purposes. However, I will begin by looking at the larger idea of how real language is used. Summary: The errors in the sentences below are typical of L2 learners (and came from actual student writing). Some can be tracked indirectly to mispronunciation leading to wrong lexical choice, some are simple word confusions, and some are syntactic faults. The important point for the purposes of this seminar is that in a live situation the listener could extract the intended meaning from context by guesswork, or if necessary, by communicative negotiation with the speaker. Language use by native speakers, and by learners (at a greater extreme) is a matter of approximating a match between communicative intent and listener interpretation. However, with the kind of deliberate semantic nonsense found in texts like Jabberwocky, no such approximation is possible. Language teachers and schools, by and large, do not recognize the approximative nature of language use, and the dynamic adjustments which are entailed in it. 1. I think I'm a warm heart person. I often have a usual smell. I'm careful and angelic. 2. In the future, we are all may become a nurse. 3. When the ill people feel fall down, you should be encourage them to stand up. 4. One can do anything if he doesn't got a good personal quality. 5. She must know how to communication with patients or their family. 6. Responsibility is the must thing for a nurse. 7. You maybe very hurry and busy in the hospital, so you must have a good healthy. 8. [about learning a skill ... ] Maybe you could talk about anything, but the thing you take could help you nursing is so perfect and pretty? 9. A nurse should have patient and duty on patients. A speaker INTENDS meaning. The students who wrote the “ fluent nonsense" in 3) clearly intended some meanings. In real communication we could construct a meaning from the "fluent nonsense" by the students in 3). 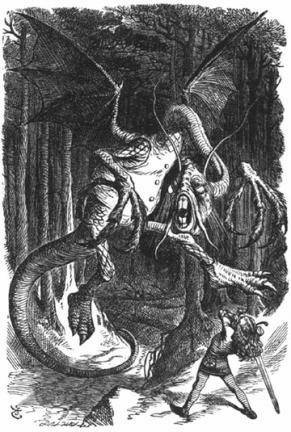 We would have great difficulty constructing a meaning from the correct grammar but word nonsense of Jabberwocky. All constructed meaning is APPROXIMATE, even between native speakers. Your mother is different from my mother. The word 'mother' will mean something slightly different for each of us. We all interpret events differently. Even when we share DENOTATIONs, the CONNOTATIONs may differ for us. The statement 'There is an H1N1 pandemic' is a problem for some but a business opportunity for others. All societies construct SOCIAL AND ECONOMIC BARRIERS based on language. Some barriers are formal (e.g. legal language), while many are informal (e.g. criticism of a speaker who mixes language registers inappropriately, such as using curse words in a formal speech). In practice, the main barrier to a native speaker accepting communication from a second language speaker/writer is NOT formal errors. Even a poor L2 user can usually find a way to get his basic message (his denotative message) across. There may be confusion at first. There may be repetition. However, the speaker and the listener working together will eventually establish a context and narrow down possible meanings. With physical situations (e.g. shopping) this is especially easy. Note that an L1 speaker of English might find it easier to understand the GRAMMATICAL INTENTION of a poor L2 speaker of English than another L2 user would. However, two L2 speakers from the same or similar culture might understand SOCIAL INTENTION more easily than the L1 listener. It is exhausting to constantly have to struggle to understand the L2 user. The L2 user is obviously an outsider and may be culturally disliked. All L2 errors will be noticed, and may add to prejudice. Two L1 users can communicate meaning in a few words. L2<=>L1 needs many words to explain background and intentions. Complicated ideas will be avoided to save time and confusion, even if the L2 user seems to have a good control of grammar etc. Schools are terrible places to teach & learn languages if the goal is competent live use in normal situations. Schools are designed for and evaluated by certification procedures. Teachers and testers can't easily measure how well a student can communicate in a SOCIALLY ACCEPTABLE WAY. Teachers and testers can't easily set up situations where L2 learners NEGOTIATE meaning until the speaker and listener understand a message well enough. However, this is what most language in real life is about, and it is the skill that learners need. Teachers and testers find it easy to make tests to identify FORMAL SYNTACTIC ERRORS. This is what most school teaching focuses on. It is terribly unproductive. Teachers are evaluated on how well their students do in formal tests, not on how well their students learn to communicate in real situations. Therefore, reform is difficult, perhaps impossible in most schools. All of you are faced with a certain group of young adult students. Decisions have to be made about what to attempt with them. Our college students are not beginners in English language study, although some are at a very low level. Most are at low intermediate level. 12. A choice between accuracy and fluency? Can a user be fluent without being accurate? With ZRTVC students at their present level of English, the teacher does have some choice about whether to encourage free language use, or to insist that students respond within certain fixed language frames (e.g. gap filling, multiple choices, restricted answers, and so on). 13. What is the right balance between free and controlled language use? 1. What is most productive for student learning (given college rather than life aims) ? 2. What is acceptable to teachers, given their own limitations? 14. Do students need controlled language exercises? The short answer is that our students need a certain number of controlled language exercises to develop their accuracy. Controlled language exercises should never be more than part of a lesson. They should be sandwiched between periods when students can actually use the language with a degree of freedom and enjoyment. The long answer is that written controlled language exercises are only really useful in the first stages of acquiring knowledge of a language rule or pattern. It is almost impossible for most learners to acquire accurate fluency in speaking, writing*, listening or reading* by relying ONLY on written controlled language exercises. (* Certain kinds of professionals, such as doctors, scientists, engineers and computer analysts from non-English speaking countries have historically developed fairly advanced reading and (to a lesser extent) writing skills without much listening/speaking exposure at all. As a group, these tend to be highly analytic and disciplined individuals). Spoken controlled language exercises , given with good humour (i.e. NOT boring) and given with increasing speed DO build accurate fluency in all four skills. 15. How can teachers plan their lessons? Language lessons should rarely be lectures, especially in a technical college like ZRVTC. A lecture means that the lecturer just talks and students take notes. Mini-lectures by teachers are occasionally useful for background information. Sometimes a certain amount of interpreting is needed here for weaker students. In such cases, I use a more capable student to interpret. (Interpreting skills are extremely useful to develop, and often needed in hospitals). a mix of teacher talk and student talk or writing; (the mix will vary with topic, lesson aims, and the English level of students). a mix of free language use and controlled language use; (the mix will vary with topic, lesson aims, and the English level of students). 16. Should student language be corrected? Teachers should interfere as little as possible in free language use by students. Students can accept interruptions from the teacher to correct errors in controlled oral language exchanges. This is a special game, and explained as such. Text books can often be adapted for this kind of oral work. Teacher correction of student written homework when the student is not present is mostly a waste of time . Years of experience have taught me this. Our students are living proof that it doesn't work. Hours spent "marking" student writing does not prove that you are a "good teacher". I always tell students if there is an error in writing, but usually not what the error is. I then insist that they find and correct it themselves. Nearly always they can do that, sometimes with the help of a friend. Then they might remember the correction. Some errors are developmental. Children learning their first language acquire structures in a certain order and correcting them may have little effect. Something similar does happen with L2 learners, but the process is less clear cut and varies for learners. There are complications such as interference from the user's L1, her age, and so on. Any error correction which demotivates a student is, by definition, unproductive.